Designed by MTP users, the MTP Padded Carrying Case not only provides extra protection for the pump, it also gives the user more functionality for pump use. 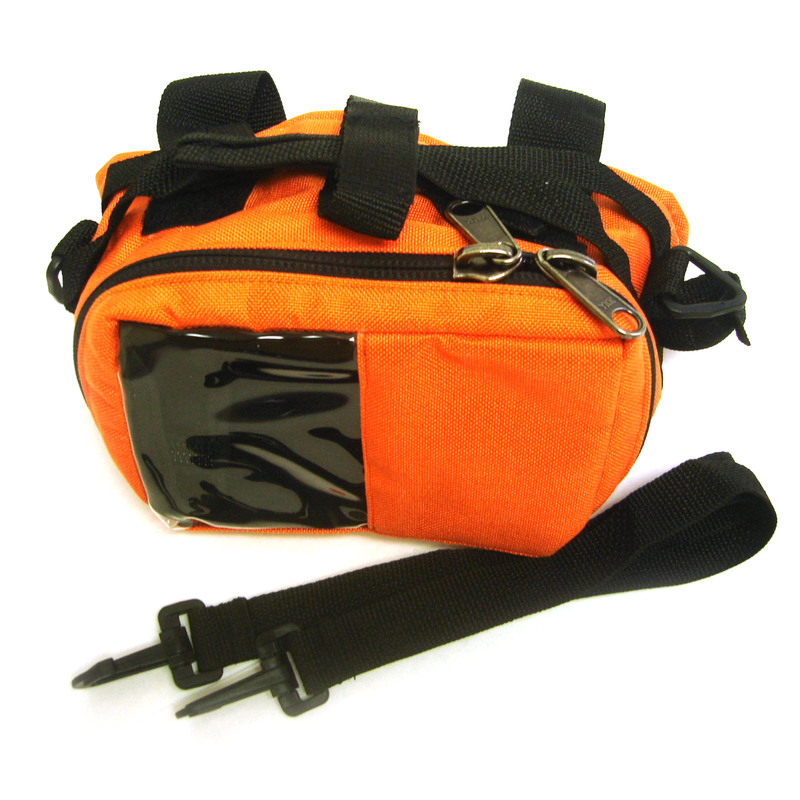 Incorporating the use of VELCRO® strapping, the padded case enables the user to securely position a collapsible IV bag on top of the pump. Then when a carried patient is placed into or removed from an emergency vehicle or aircraft, the crew does not have to worry about the IV bag’s placement. Equipped with a shoulder carrying strap, the MTP Padded Carrying Case enables the crew to hand-carry other important equipment. The Padded Carrying Case complements the MTP’s portability. The MTP Detachable Pole Clamp is a unique clamping device, whether it is attached to the pump or not! When the Clamp is secured to the MTP pump by its quick mount/dismount locking pin, the clamp enables the crew to mount the MTP to a regular or mini IV pole, bed or stretcher rail, suitable air craft structure, wheelchair handle, etc. When the Clamp is not attached to the MTP, it reduces the weight of the pump and makes the pump more compact in size. The Clamp’s removal from the pump also enables the MTP to be placed in a bulkhead cabinet for easy access, storage and/or use, or for user designed specific mounting configuration.